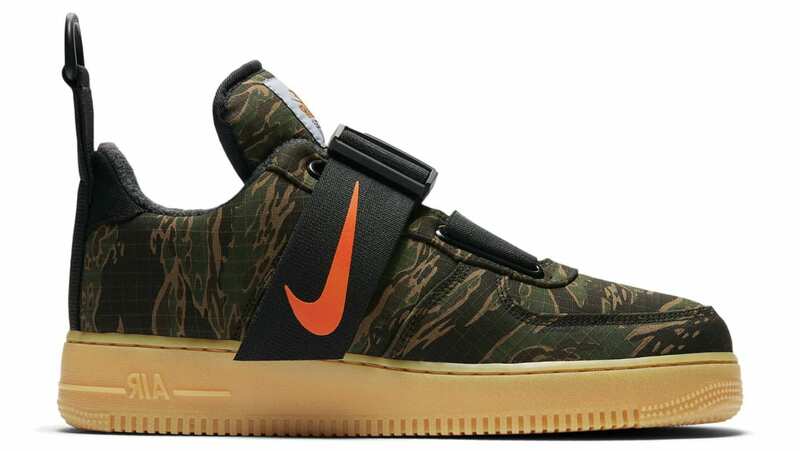 An all-over camo print covers the upper of the Carhartt WIP x Nike Air Force 1 Low with Carhartt's logo placed on the lateral side of the heel. The upper sits atop a gum bottom outsole. Release date is Dec. 6, 2018 at a retail price of $165.